Adelyn is currently a CPS caseworker for DCFS. She has a little boy, who is a Ryatt (yes that's his name...poor kid) and loves being a mom. Her 2nd son Egan Danger Abbott July 5, 2018. I'm hoping for another boy and named Chaos but his middle name is Danger. Now they have Ryatt and Danger in her home. Her husband works as a Heavy Machine operator. Provo High State Champions in Basketball. I remember how we had to hide from Coach Spencer the fact that some of us had girlfriends. That was against his rules. But we know he always knew no matter how hard we tried to hide it. Ed Terris, Devin Durrant David Sagers and I riding around in Ed's white truck and Ed talking his way out of several tickets. There were a lot of crazy things that happened in that truck. Dave Asay has a birthday today. Dave Asay updated his profile. View. Dave Asay added a photo to his profile gallery. 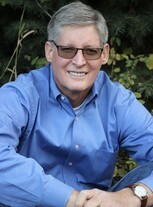 Dave Asay changed his "Now" picture.